Improve Your Smile With Family Dentistry Of West Bloomfield! At Family Dentistry Of West Bloomfield we pride ourselves on creating and maintaining beautiful smiles for our patients. Having a bright and healthy smile is important for not only your health but also improves your confidence. We love knowing we have helped out patients achieve the smile that they have always wanted with our cosmetic procedures. If you are in the West Bloomfield area and are unhappy with your current smile, please do not hesitate to reach out to our office for more information on all we have to offer. 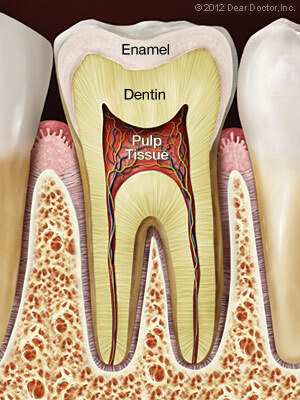 Endodontics is the dental specialty that deals with tissues and structures located inside the tooth. One of the most common endodontic treatments is root canal therapy, a procedure, which effectively eases the pain associated with a bacterial infection deep within the pulp of the tooth. Of course, root canal treatment doesn't just relieve pain — it also stops the infection by removing dead and dying tissue from the tooth's pulp. Plus, it helps to save the tooth, which is in danger of being lost if left untreated. Contact Your West Bloomfield Cosmetic Dentistry Today! The Doctors and their wonderful staff here at Family Dentistry of West Bloomfield would like to thank you for taking the time to learn more about our dentistry. If you have any questions about endodontics or any of our other cosmetic services please do not hesitate to contact us. We are always happy to answer any questions that you might have about our practice. We hope to welcome you to Family Dentistry Of West Bloomfield soon!